Here, are 5 free audio book apps for iPhone. Listening to your favorite eBook can be an ultimate experience in itself. This is the reason we see more and more Audio versions of eBooks coming out in the market every day. Audiobooks can be listened anytime and anywhere– while cooking, bathing and even while driving. Now-a-days popularity of eBooks is up above the roof. Let get into details of each audio book apps for iPhone. Audible will give you a complete audiobook listening experience in itself. Audible.com is a prominent name in internet audiobook service providers. However, this service is premium, and now their own app is available over iTunes Store. Audible app gives you access to over 100,000 audiobooks online. The books will be downloaded over Wi-Fi to your iPhone. Upload the stats to Facebook or Twitter and earn badges is fun on Audible. 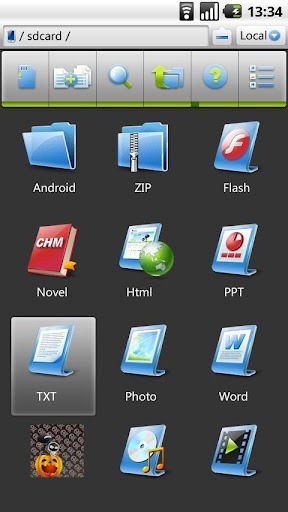 This audio book app also provides advanced features like chapter selection and bookmarking. 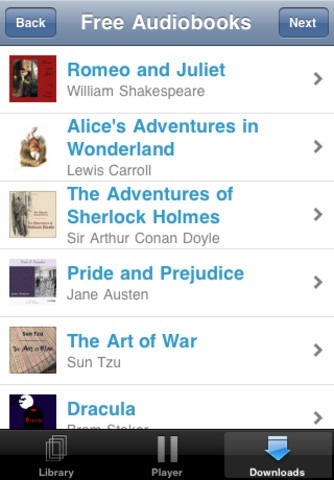 With Audiobooks, you will get free access to over 3.5K classic audiobooks. Due to these stats this audiobook app has been downloaded heavily around the globe. Listen to books online or download them to your iPhone to play them offline anytime. 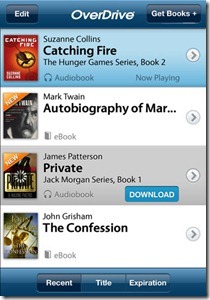 AudioBooks app also have a paid version, purchasing to which will remove advertisements. 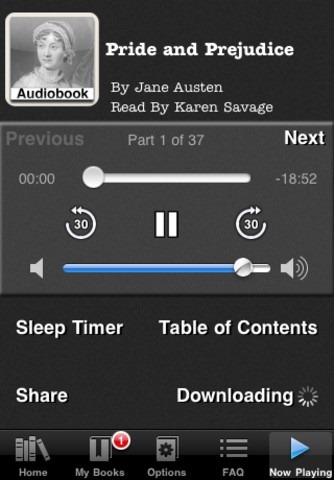 Automatic Bookmarking and Sleep Timer are two significant features of this audio book app. 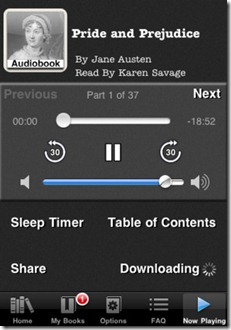 OverDrive Media Console is a library eBook and audiobook app for iPhone. OverDrive Media Console gives you access to 15 thousand libraries worldwide. To use this feature, you have to link the app to your library card. Each library has its own collection of eBooks and audiobooks. You can also download free eBooks from other sources and read them in OverDrive Media Console. Also, check out free eBook reader reviewed by us. 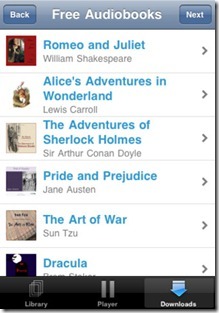 Ambling Book Player Lite is a free audio book app for iPhone. This one is a listening app presented by amblingbooks.com. You can listen to both free and premium audiobooks available on the providers website. However, playing your own downloaded audiobooks is not supported in the free version of Ambling Book Player. Bookmarking system also features Undo and Redo functions that will help in keeping track of listening properly. 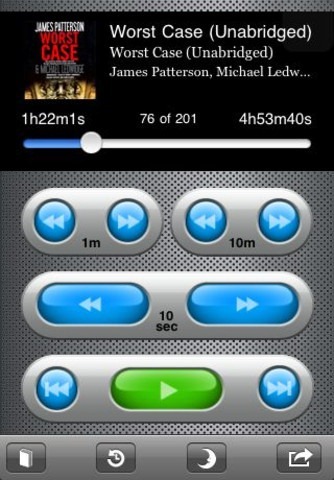 Screen buttons while playing an audiobook will help you quick forward and rewind the listening by 15 sec and 1 minute. 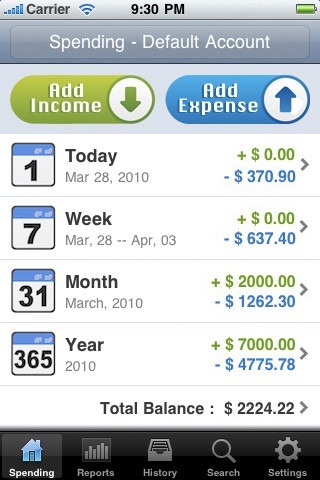 Browse around more free iPhone apps reviewed by us. Audiobook & Podcast Player is a simple audiobook player. The only disadvantage of this free audio book app is that we can use it for only a couple of days as it is an evaluation copy. It is worth downloading as it has one of the best audiobook player. 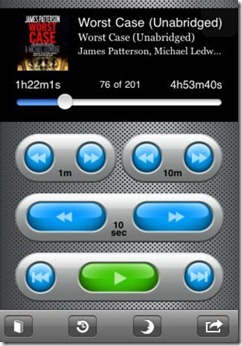 Navigation onscreen buttons will let you quick forward and rewind the listening by 10 sec, 1 minute and 10 minutes. Also, there is a Time Travel feature in the app which keeps track of your listening and you can jump to the exact page which you were reading in any given time. 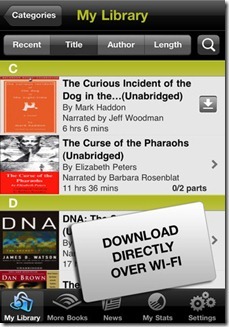 Install any of the given audiobook apps for iPhone at zero cost.